These fine and large vases are crafted in the style of famed German manufacturer, Meissen, and display exceptional levels of detailing and craftsmanship. 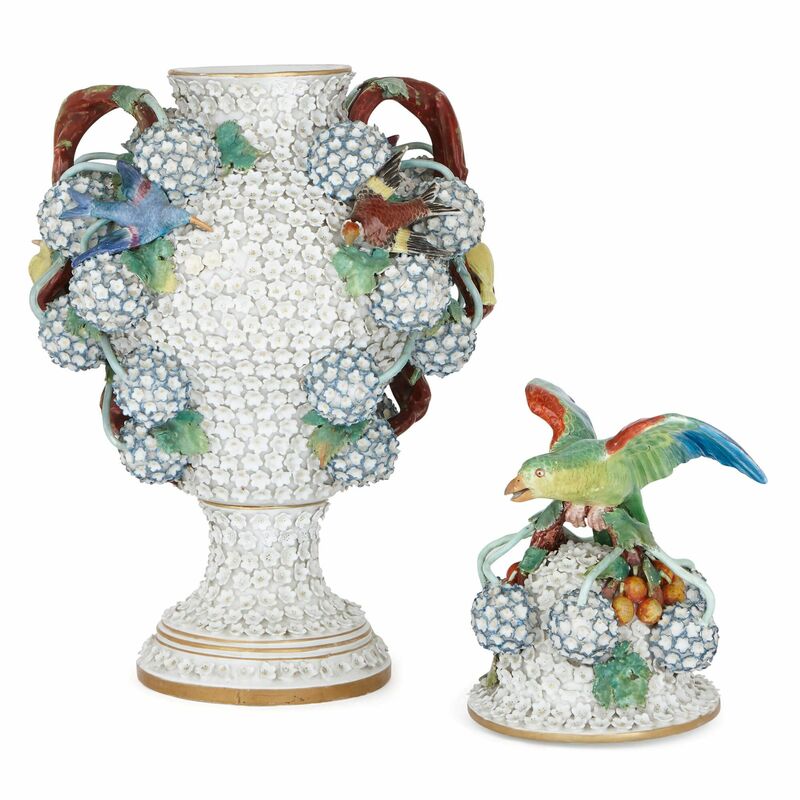 Schneeballen translates from German as 'snowball' and refers to the bulbous spheres that are a distinguishing feature of Schneeballen porcelain vases, the first of which was crafted in 1739 by famed Meissen decorator Johann Joachim Kaendler. 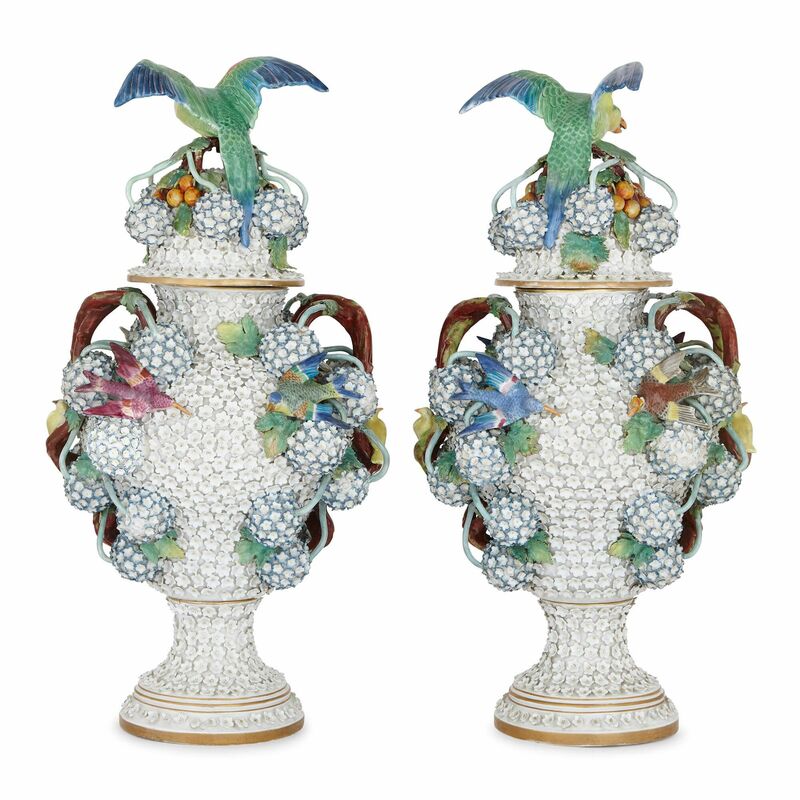 These late 19th Century Schneeballen vases are of bulbous, ovoid form, and decorated profusely in typical fashion with hundreds of intricate, white mayflowers intersected by subtle gilt bands. 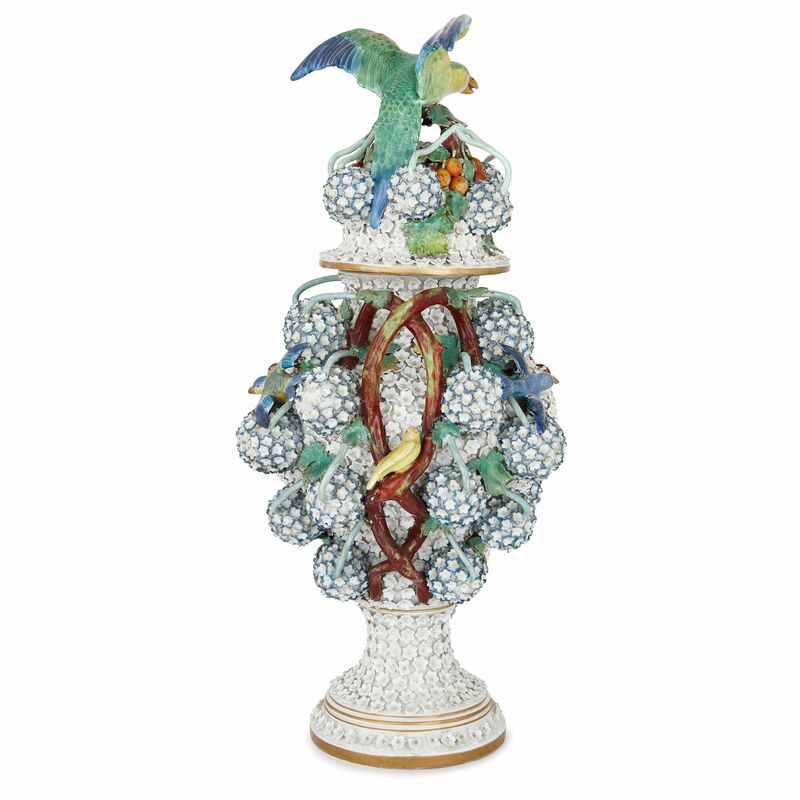 Mounted onto the vases and covers are numerous spheres, or Schneeballen, also completely covered with mayflowers and highlighted with pale blue petals. 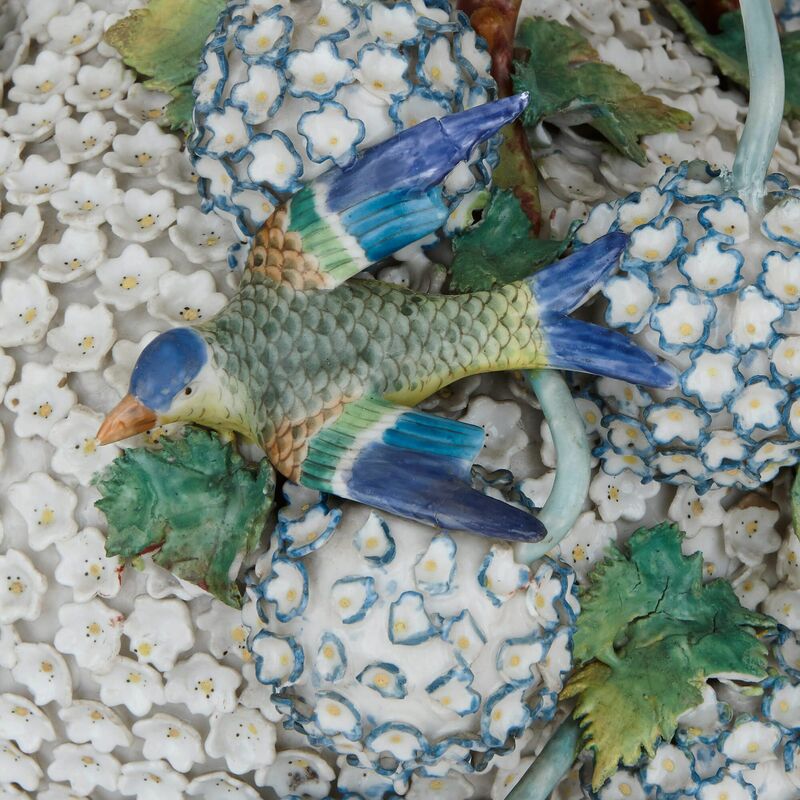 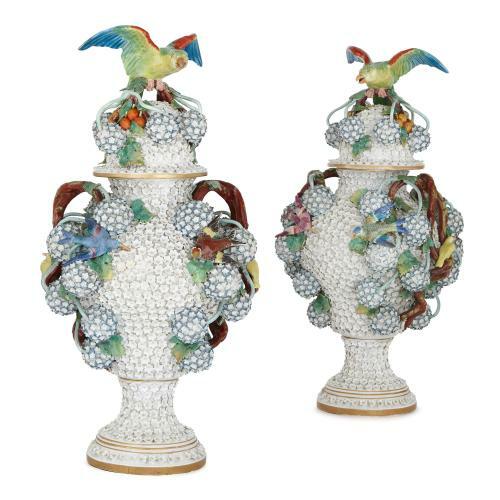 The vase bodies are further decorated with lifelike models of colourful red, blue and green birds perched on the spheres, and feature twin handles styled as intertwining vines. 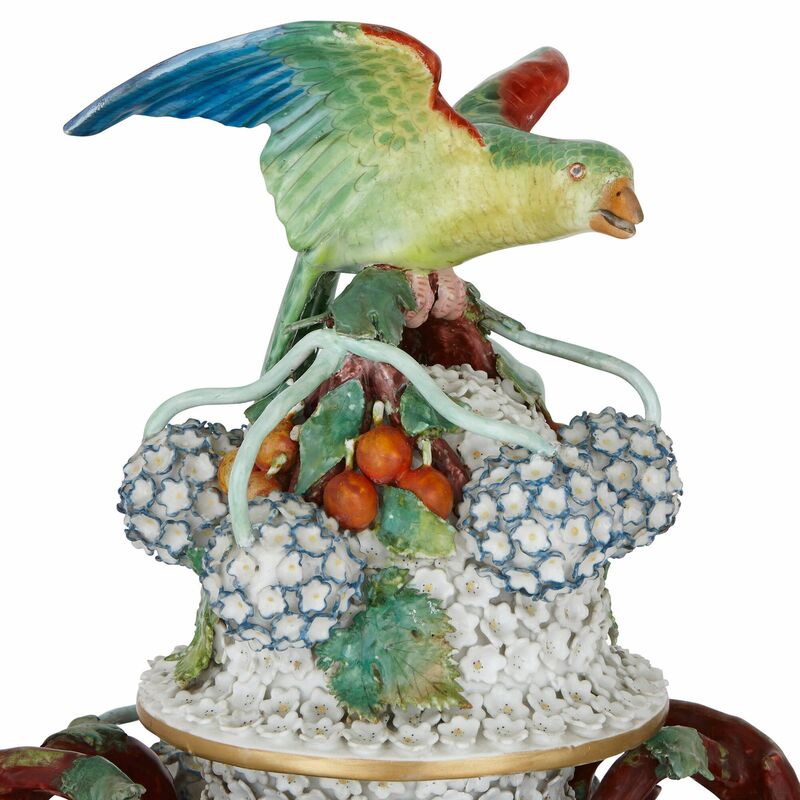 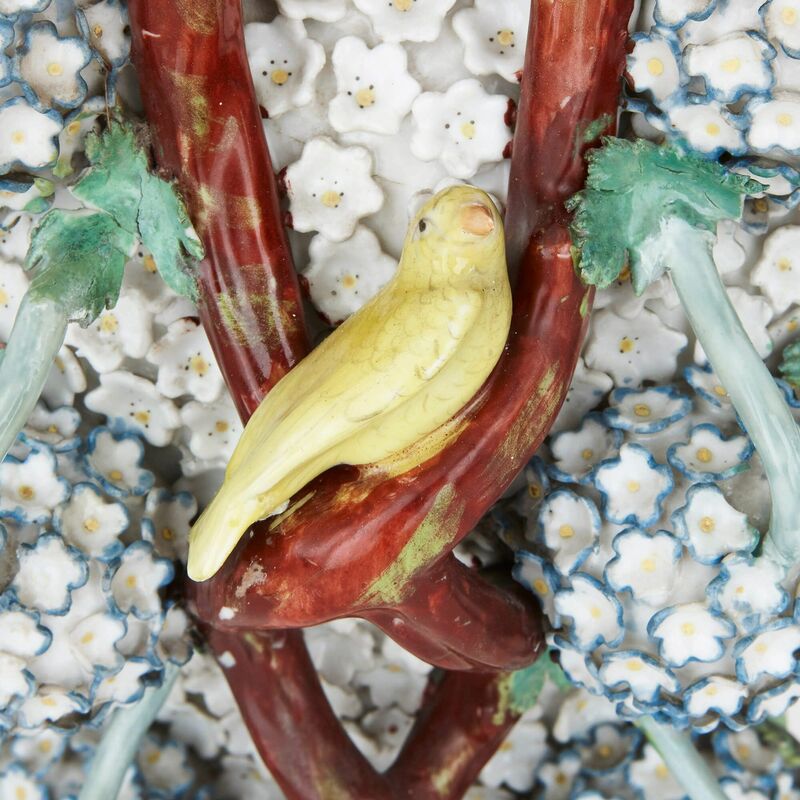 The large vase covers are particularly striking and are decorated with further Schneeballen, with each cover crowned by a surmounting green, red and blue parrot perching on vines. 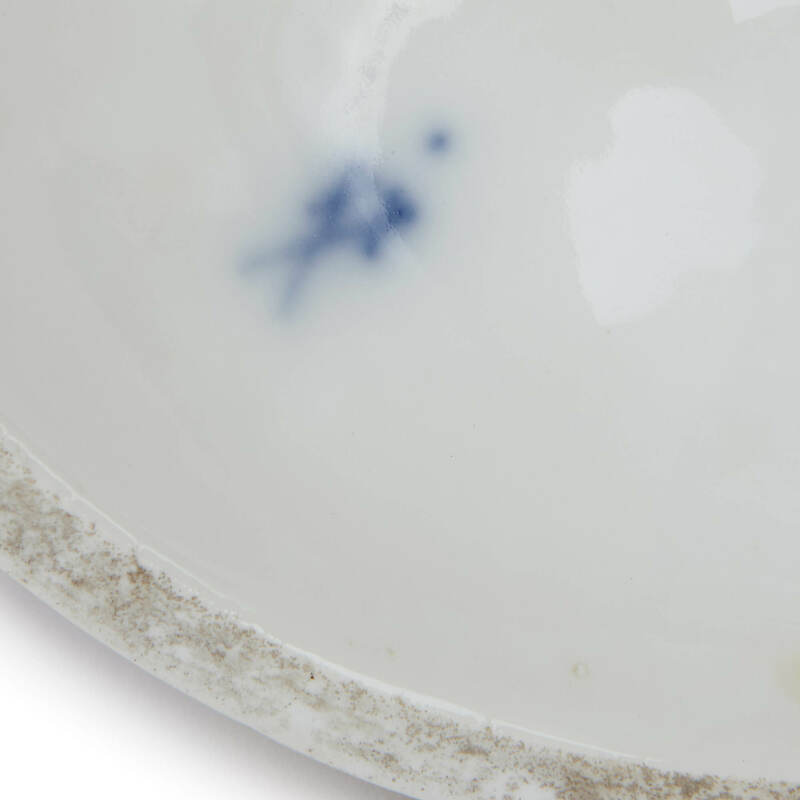 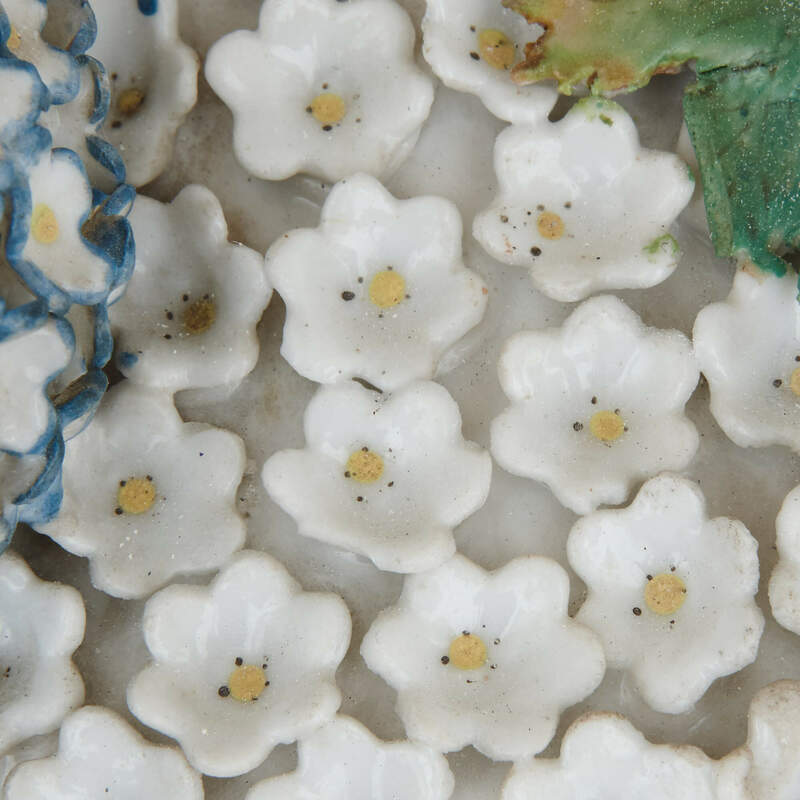 Each cover is further marked to the interior with the blue underglaze crossed swords mark of Meissen.